Azwa Anin Bakri Wins MWM Final 2010! NWM Alia Azwa Anin Bakri beat WCM Nur Nabila Azman Hisham 2.5 - 1.5 on the second day of the finals of the Malaysian Woman Masters 2010 to emerge as Champion. She won Game 1 & 4, drew game 2 and lost game 3. The 1st Malaysian Women Masters Final between Alia Anin Azwa Bakri and Nur Nabila Azman Hisham has been scheduled to start on Friday, 19th March 2010 starting at 10:00am with the following format - 4 classical games with normal time control, 2 rapid games as the first tie breaker, 2 blitz games for the second tie breaker and 1 Armageddon as the final tie breaker game. Nabila and Alia in the Final! 28.2.2010 - Nur Nabila Azman and NWM Alia Anin Azwa Bakri both win their semifinal game today.Nur Nabila Azman beat NWM Nurul Huda Wahiduddin with the score 2.5-1.5. Both player won a game in the classical time control but Nabila excel in the rapid session by winning game 1 and draw the second game. Alia beat Fong Mi Yen with the score 1.5-0.5 in the classical time control games. The final date for Nabila-Alia will be announce later. 11. Bxe4 Nf6 12. Bd3 Bg4 13. h3 Bxf3 14. Qxf3 Qd7 15. Bg5 Rad8 16. Rad1 Qd5 17. Qxd5 Rxd5 18. Bh4 e6 19. Bc4 Rd7 20. Bb3 a6 21. a3 h6 22. Kf1 Kh7 23. g4 g5 24. Rd5 37. Bf4 Bf6 38. Kg3 Kg6 39. h5+ Kg7 40. Rf1 Bg5 41. Bxg5 Rxg5 42. Rd1 Rd5?? The losing move. Nurul voluntarily isolate her pawn. She will lost the pawn race. Nh5 12. Bd2 Ng7 13. Qb3 c6 14. Bb4 Be6 15. Bxe7 Qxe7 16. Qc3 Kh8 17. Ne5 f6 18. Nf3 f5 19. Ne5 f4 20. exf4 Rxf4 21. Bxg6 Qg5 22. Bc2 Raf8 23. Qg3 Qf6 24. Rad1 Nh5 25. Qe3 Rg8 26. Kh2 Ng3? Mi Yen commit a blunder. Probably she miscalculate the position because she will down exchange after . 27. fxg3 Rxf1 28. Rxf1 Qxf1 29. 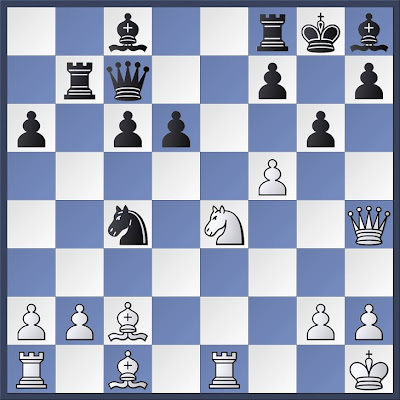 Qh6 Probably Mi Yen miss this move. 29...Rg7 30. Bxh7?! 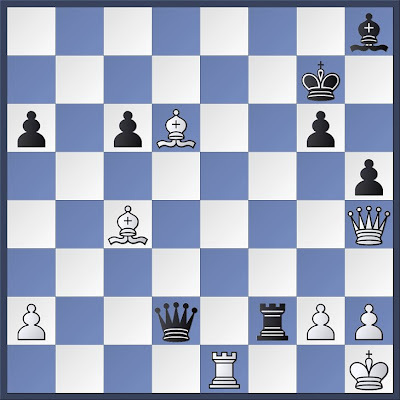 Stronger is 30.Bxe6 and white has big winning advantage 30...Rxh7 31. Qxe6 Rg7 32. Nf3 Qb1 33. Qe8+ Rg8 34. Qe5+ Kh7 35. Qe7+ Rg7 36. Qh4+ Kg8 37. 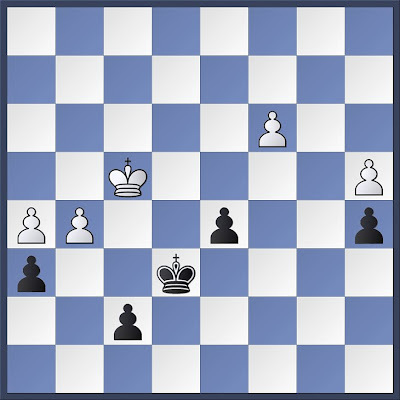 Qd8+ Kh7 38. 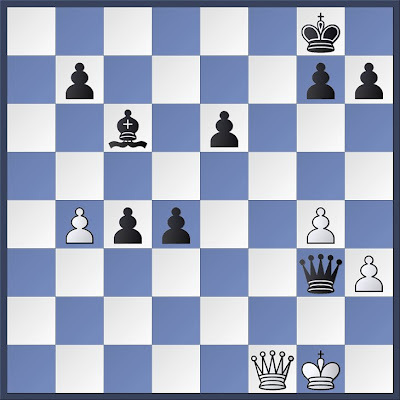 Qh4+ 1/2-1/2 Both player agreed for a draw. 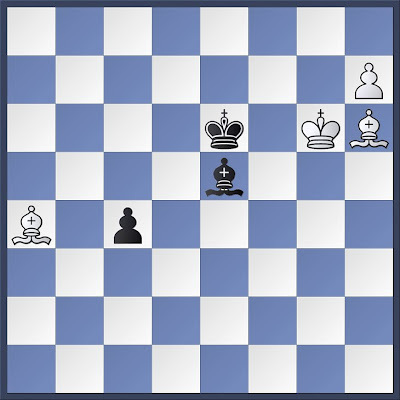 Black will lost if he try 38...Kg6? 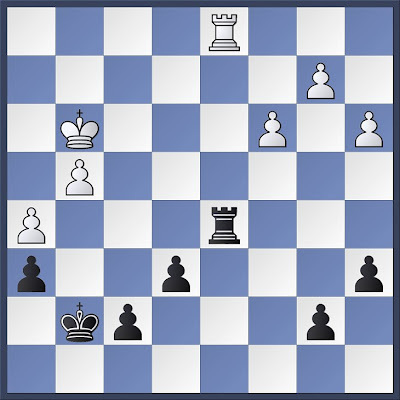 39.Ne5+Kf5 40.Qf4+ etc. Alia proceed to the final. 31. 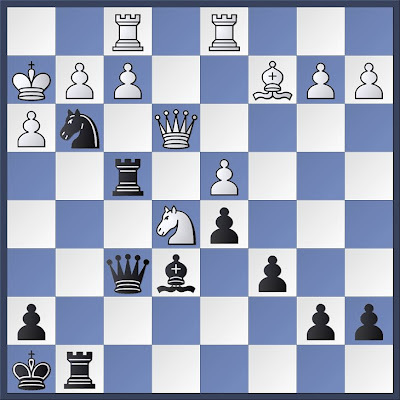 Qe7+ Nurul Huda miss the stunning 31.Bxf8+!! Rxf8 (31...Kxf8?? 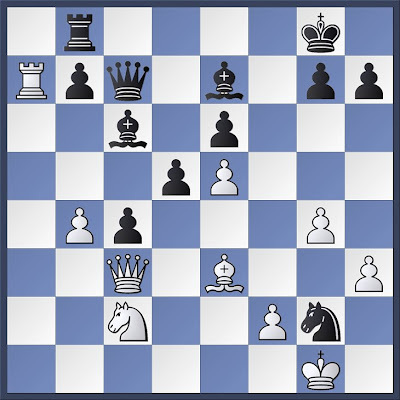 32.Qe7++ checkmate) 32.Qe7+ Kh6 33.Qxf8 31...Kh6 32. Bg3 Rf5 33. Qe3+ Qxe3 Nurul wisely trade the queen. Now what she has to do it to watch his back rank to avoid being mate 34. Rxe3 a5 35. h3 h4 36. Bd6 Bg7 37.